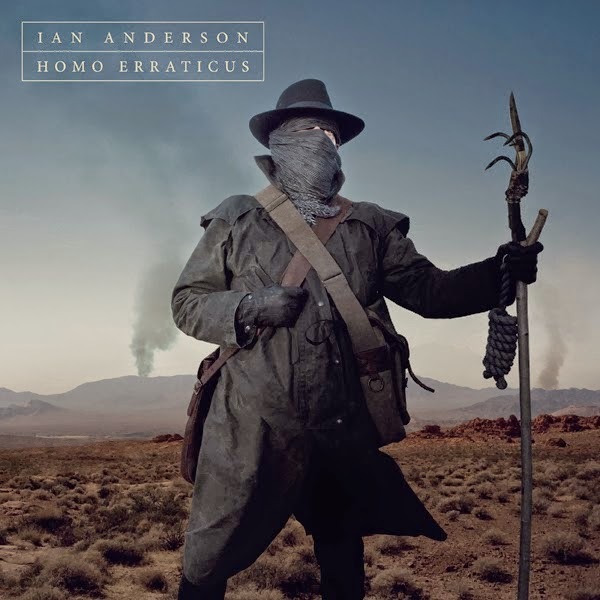 Legendary prog pioneer Ian Anderson has released a new studio album Homo Erraticus today, April 15 on Ian's own Calliandra Records, distributed by Kscope. The album continues with the story of Anderson's favorite enfant terrible Gerald Bostock. Ian and his band (guitarst Florian Opahle, bassist David Goodier, keyboardist John O'Hara and drummer Scott Hammond, and singer Ryan O'Donnell) will be touring the United States this September through November. In addition Warner is re-releasing A PASSION PLAY; stay tuned for a release date. In 1972 Ian's band Jethro Tull released the iconic concept album Thick As A Brick, based on a poem by the then eight year old Gerald Bostock in 2012. As many fans wondered what might have befallen the character, Ian Anderson decided to explore the different paths Gerald's life might have taken in his 2012 album, Thick As A Brick 2. Following a forty year political career, Gerald Bostock reunited with Anderson taking the role of tour manager on a string of shows. ‘Homo Erraticus’ marks Gerald's return to songwriting, and is based on an unpublished manuscript by amateur historian Ernest T. Parritt (1865-1928). In Homo Erraticus, Parritt examines key events of British history with a string of prophecies stretching to the current day and the future. Visions of past lives caused by the delirium of malaria generate the characters through whose eyes the stories are told, including a nomadic Neolithic settler, an iron Age blacksmith, a Christian monk, a turnpike innkeeper and even Prince Albert. The album release will be followed by an extensive UK tour, where Homo Erraticus will be performed in its entirety followed by a selection of Tull classics updated with video and theatrics. 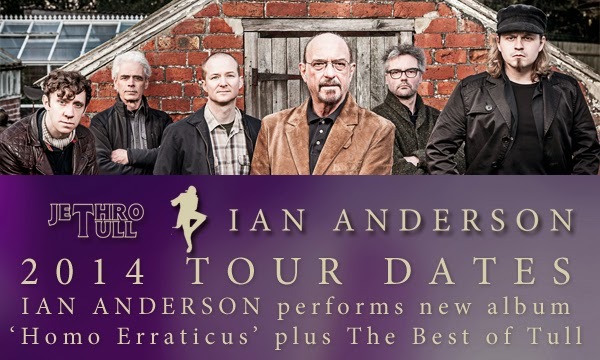 Fronting seminal Prog outfit Jethro Tull and performing simply under his own name, Ian Anderson has performed in more than 54 countries over 45 years; he is widely considered an icon of the genre and is recognized as the protagonist of the flute in rock music. With over 60 million albums sold in its career, Tull has been characterized by Anderson’s trademark acoustic textures created with ethnic flutes and whistles together with acoustic guitar and the mandolin family of instruments. In many recent shows, Anderson has played with orchestras, string quartets and featured soloists. His eclectic acoustic performances are also a hit with fans of the progressive genre.